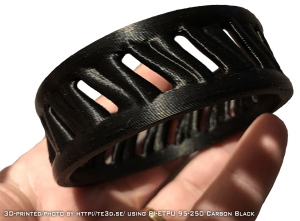 The material composition eliminates “stringing / webbing” issues. The hardness of 95 shore A and the carbon black filler makes for great print abilities. 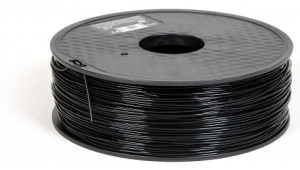 The carbon black filler is an excellent UV stabilizer thus the prints are built to last in very harsh environments. The matte black surface finish has a very exclusive look. The material feels very nice and dry to touch. 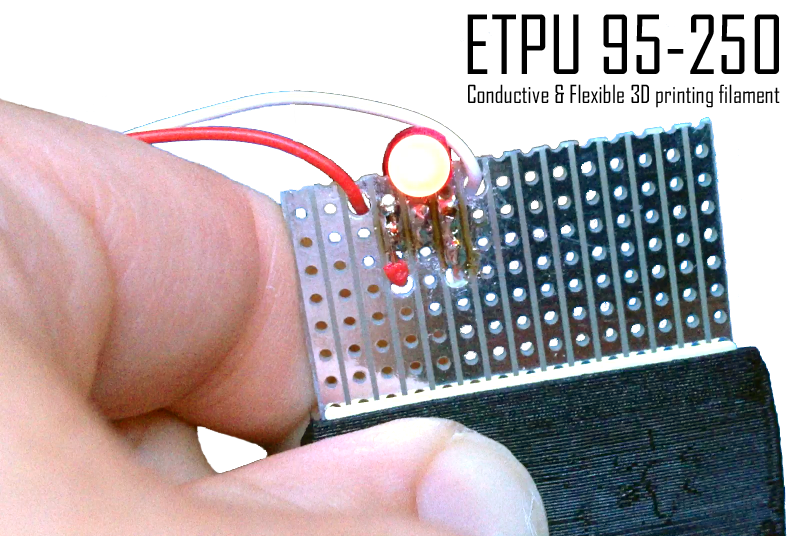 It´s not too stretchy and will do great for timing belts etc. Excellent performance for greases, lubricants, some solvents and oils. The abrasive resistance is really high and it is not too stretchy. 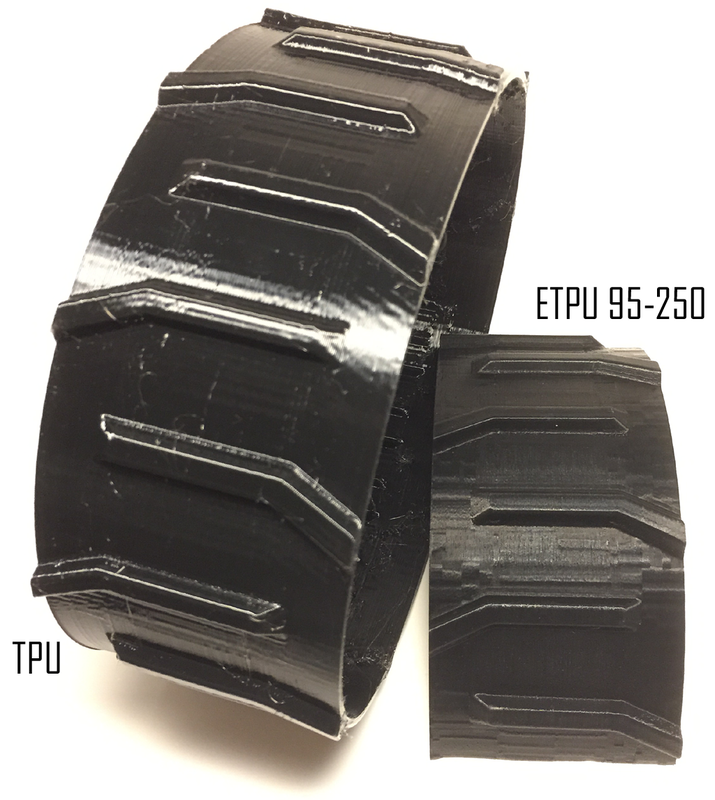 Excellent filament tolerances secure accurate prints. Obviously the conductive abilities adds some new dimensions to the equation. Diameter ø For 1,75mm printers: can maximum differ between 1.65mm to 1,9mm from spool to spool but within a singel spool the tolerance is ±0,05 or mostly better. 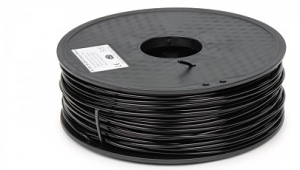 The filament is made from a special thermoplastic polyurethane (TPU) compound material with a carbon black filler witch is bound in the base polymer. The information in this data sheet represents typical values for the original standardized sample and should not be regarded as a fixed specification for all filaments. 3D-printing will affect these values. PI-ETPU 95-250 Carbon Black is a product under development and Palmiga Innovation reserve the right to change the properties at any time without notice. This product does not contain TNPP (Tris(nonylphenyl)phosphite). 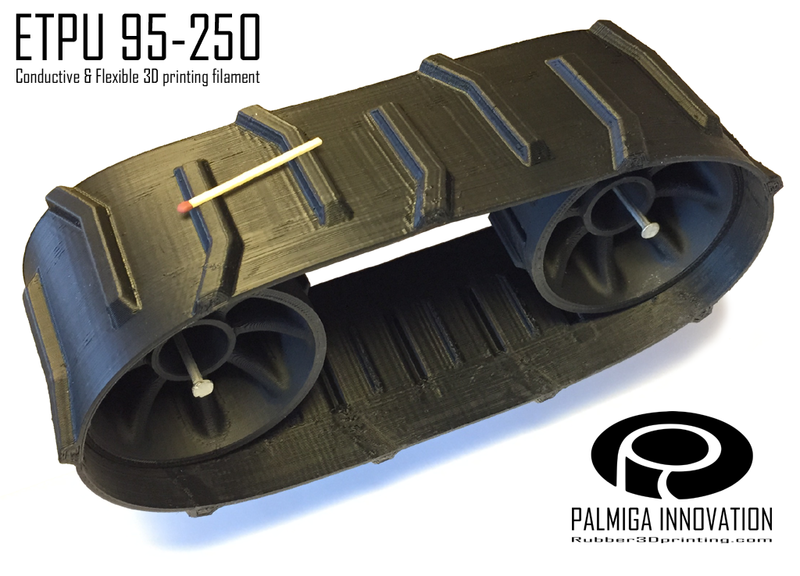 This professional conductive and flexible 3D printing filament is made of a rubber-like TPU (Thermoplastic PolyUrethane) compound material with a carbon black filler witch is bound in the base polymer, it is the result of the inventor Thomas Palm´s (Palmiga Innovation, http://palmiga.com/) desire to 3D print some inventions of his. 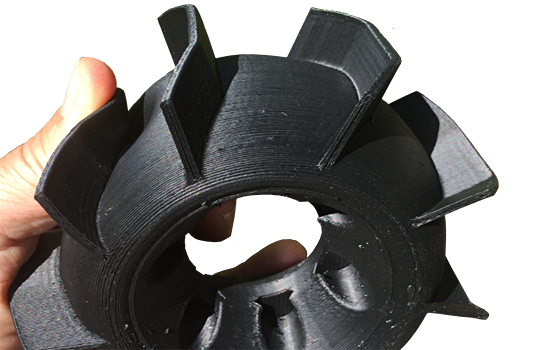 Now you can enjoy this conductive and flexible 3D printing filament as well, go ahead and 3D print lots of inventions of your own!